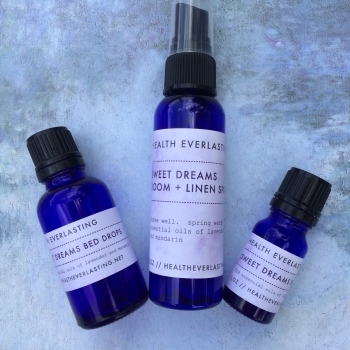 Sweet Dreams Aromatherapy is gentle and cheery to calm and quiet during bedtime. A favorite with children! They love the Bed Drops! The perfect bedtime help for young ones. Hand-crafted with essential oils of lavender and mandarin. 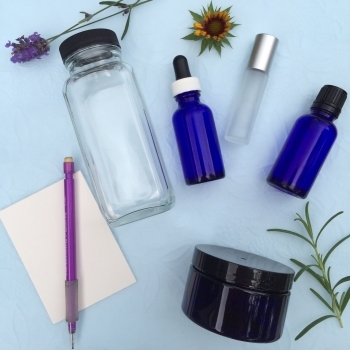 Learn More about Aromatherapy from Health Everlasting. 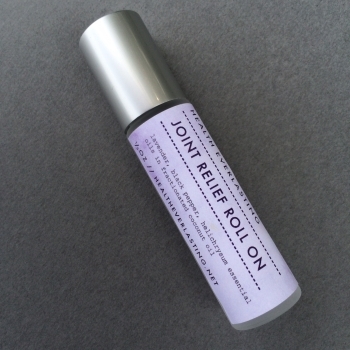 Hand-crafted with essential oils of lavandin (lavendula x intermedia) and mandarin (citrus reticulata). Bed Drops: 100% essential oils. To Use: Apply 1-2 drops to pillow. May apply 1-2 drops on a cotton ball and tuck under the pillow. Room/Linen Spray: Essential oils in spring water. To Use: Shake well. Spray into air or onto pillow or other linen. 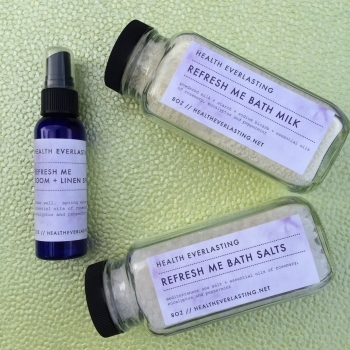 As all of Health Everlasting’s products are crafted in small, truly artisanal batches, please allow up to 10 days from the time the order is placed for it to ship. During holidays and peak ordering times, please allow up to 2 weeks for shipping. If rush ordering is needed, please contact us to make arrangements.